The beginning of any New Year should be filled with hope and expectation but 2017 is barely weeks old and already several multi-tonne seizures of pangolin scales in Africa and the end markets in Asia has injected a dash of forlorn reality. This week, Cameroon’s Ministry of Wildlife, aided by LAGA, arrested two Chinese nationals in Doula with five tonnes of scales. On January 6, six tonnes destined for the Asian markets were seized in Tanzania by the Uganda Wildlife Authority and LATF. Likewise, just before Christmas, Shanghai Customs seized over three tonnes of pangolin scales and Cameroonian customs seized over half a tonne of scales being exported from Yaoundé destined for Malaysia. 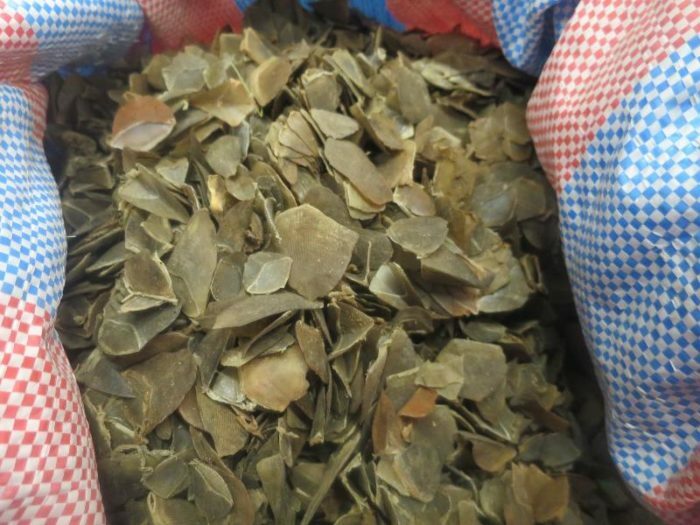 Altogether, more than 14 tonnes of pangolin scales have been seized in just four seizures, in the space of a month, accounting for over 20,000 pangolins, emphatically highlighting an illegal trade completely out of control. Such rampant illegal trade jeopardises the very existence of all pangolin species and brings into sharp focus the involvement of organised transnational criminal networks. 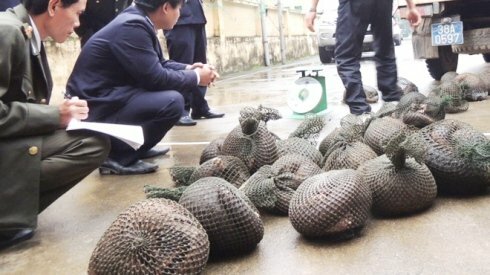 Combating the illegal trade in pangolins will take more than just seizures. 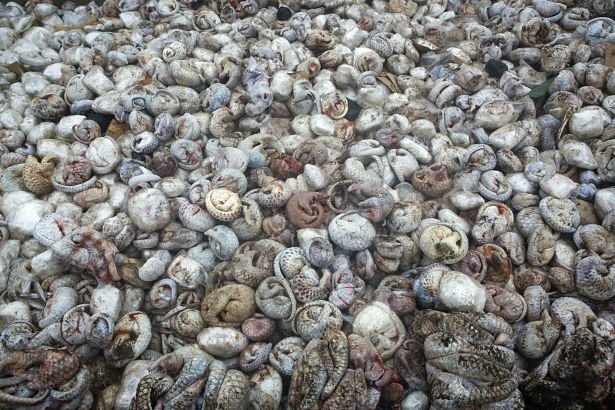 Without prosecutions, deterrent sentencing and confiscation of the proceeds and assets of the major players in these networks, poachers will be commissioned to capture more pangolins to fill the demand – a demand that is primarily driven by China and Vietnam. There is much that the Government of China can do to reduce demand by changing policies. The recently celebrated timeline for the end of China’s domestic ivory market is an example; closure of the world’s largest ivory market could a the global turning point in preventing the ongoing massacre of elephants for their ivory; according to the Great Elephant Census, savanna elephant populations declined by 30 per cent (equal to 144,000 elephants) between 2007-14 and other estimates suggest that 100,000 elephants were killed illegally between 2010-12, an average of 33,630 (6.8 per cent of the total population) each year. In addition, forest elephants declined by 65 per cent between 2002-13, a decline of nine per cent a year. However, despite this bold commitment to close its ivory markets, the same cannot be said for pangolins nor other highly endangered species such as tigers. In fact, China’s new wildlife protection law encourages commercial utilisation of wildlife, including species that are severely threatened by trade. Just as the Government of China and the international community recognised that domestic ivory markets stimulate demand and the poaching of elephants, so too does the parallel legal market in pangolins and other endangered wildlife such as tigers stimulate demand and poaching. If pangolins are to survive in the wild, China must take an equally bold step to end consumption. China is one of the largest global end markets for pangolin scales, which are used both in traditional Chinese medicine (TCM) and to a lesser degree by the carving industry producing intricately decorated luxury pieces. China currently has a legal annual quota of 25 tonnes of pangolin scales for use in TCM in over 700 registered hospitals; this is despite the absence of any scientific evidence of medicinal benefits (pangolin scales are predominantly composed of keratin, the same substance as found in your hair and fingernails). The 25-tonne pangolin scales quota in China refers technically to the scales of Chinese pangolin (Manis Pentadactyla), as outlined in the Pharmacopoeia of the People’s Republic of China, with a legal question mark over any domestic trade and use in other pangolin species. Pangolins have been decimated by poaching and trade over the past 20 years and are now listed as critically endangered. With populations in China estimated to be at historically low levels it is highly unlikely, to the point of impossible, that remaining populations of Chinese pangolins can provide for such a quota. Equally, any historical legal imports of pangolin scales are far exceeded by the annual pangolin scale quota. Examples of successful captive breeding of any pangolin species are exceptionally rare, with only a handful of cases ever documented, making it highly likely the quota is being filled from massive illegal consignments. It has been well publicised that pangolins are illegally traded more than any other mammal with the widely reported figure of a million pangolins traded within Asia in the past 15 years. In addition to the Chinese pangolin, the remaining seven species of pangolin are listed by the IUCN red list as ‘Vulnerable’ to ‘Critically Endangered’. The subsequent population crash caused by the extent and scale of the illegal trade in Asian pangolin species, highlighted by EIA‘s pangolin trade map, has led to significant growth in the export of scales from Africa, with Nigeria and Tanzania emerging as key export hubs. In light of this, all eight pangolin species were uplisted to Appendix I at the most recent Conference of the Parties to CITES in South Africa in September 2016. This acknowledged the threat to the continued existence of all pangolin species from illegal trade. All international commercial trade is now banned with a few narrow exceptions and additionally the sale of any parts and derivatives of seized Appendix I species is in contravention of CITES. Despite all this, China’s legal domestic pangolin scale quota remains. It is vital the same commitment made by China to close its domestic ivory market is now made for pangolins. 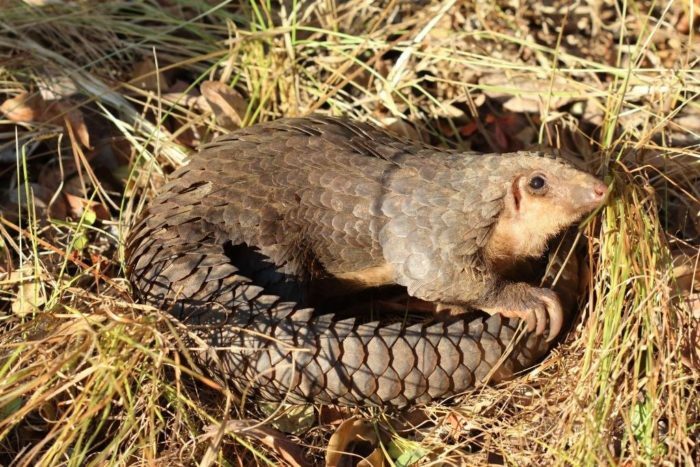 If the past four weeks are anything to go by, and assuming reported seizures represent 10 per cent of the illegal trade, this year could set an alarming precedent for the number of pangolins lost to the trade. EIA calls for the recent large scale pangolin seizures to be thoroughly investigated, ensuring any arrests are followed up with prosecutions, that the new CITES Appendix I uplistings are rigorously enforced and necessary legislative amendments are adopted to ensure all countries with legal domestic markets in pangolins close them. While all countries – source, transit and demand – must work together to effectively tackle the illegal trade in pangolins to ensure all perpetrators of the trade are prosecuted, China has the opportunity and capacity to build on its major contribution to protecting elephants and take a global lead in the conservation of key species that continue to be threatened by trade. The New Year needs another positive conservation story. The time is now. Pangolins cannot afford to wait.